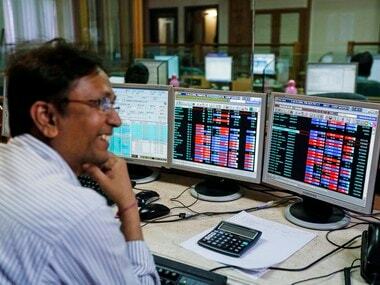 Mumbai: Rising for the third day, the BSE Sensex surged 305 points to recapture the 36,000-level while the NSE Nifty closed well above 10,900 on Tuesday as participants wagered on robust corporate earnings. Indices raced to over five-month highs on the back of unabated buying by domestic institutional investors and a good set of corporate results so far, brokers said. Barring BSE Healthcare, all other sectoral indices closed with gains, led by energy, realty and telecom counters. Financial services conglomerate HDFC Group saw the market capitalisation of its listed firms cross the Rs 10 lakh crore mark, making it only the second Indian business house after Tatas to achieve this feat. The 30-share Sensex opened strong and hit a high of 36,274.33 before finally ending at 36,239.62, up 304.90 points or 0.85 percent. It has now gained 665.07 points in three sessions. The benchmark is just a tad lower from its all-time closing high of 36,283.25 hit on 29 January this year. Similarly, the 50-share NSE Nifty climbed 94.35 points, or 0.87 percent, to end at 10,947.25. Intra-day, it shuttled between 10,956.90 and 10,876.65. 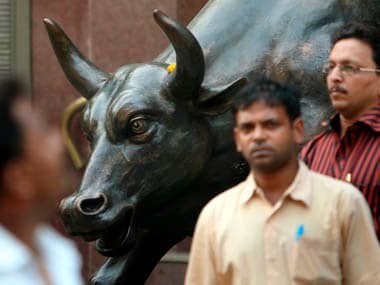 The Sensex and Nifty remained above their key levels of 36,000 and 10,900 throughout the session, indicating strong investor optimism after a prolonged spell of caution. Auto stocks spurted after data showed that passenger vehicle sales in India rose by 37.54 percent in June, the fastest monthly growth in nearly ten years. TCS dipped 0.56 percent ahead of its June-quarter results. Meanwhile, domestic institutional investors (DIIs) picked up shares worth a net Rs 740.39 crore on Monday, while foreign portfolio investors (FPIs) offloaded equities to the tune of Rs 569.91 crore, provisional data showed. "Market rallied to a five month high as fading trade war woes and shift in attention to corporate earnings supported investor sentiment. Any revival in earnings growth will give scope for re-rating in valuation for many mid-cap stocks which were the real victims of the recent correction. 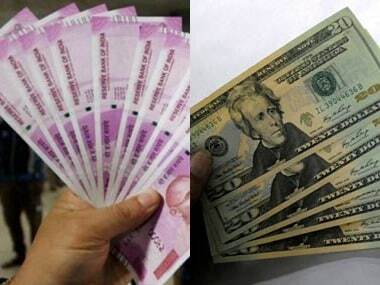 "However, rupee depreciated and bond yield rose in expectation of increase in June CPI inflation," said Vinod Nair, Head of Research, Geojit Financial Services. Market heavyweight Reliance Industries (RIL) topped the Sensex gainers list, surging 3.02 per cent, after a Reliance-BP joint venture bid for licence to retail gas in 15 cities, making its maiden foray in city gas distribution. Other winners included Yes Bank 2.58 percent, Coal India 2.56 percent, Bajaj Auto 2.36 percent, Wipro 2.26 percent, Tata Steel 2.11 percent, NTPC 1.82 percent, Maruti Suzuki 1.72 percent, Axis Bank 1.70 percent, Bharti Airtel 1.60 percent, HDFC Ltd 1.54 percent and HDFC Bank 1.31 percent. IndusInd Bank ended 1 percent lower despite the lender posting a 24 percent rise in net profit at Rs 1,035.72 crore for the quarter ended 30 June. 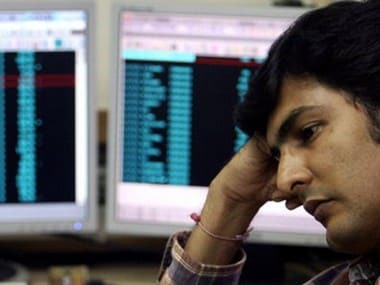 Kotak Bank lost 0.96 percent, Sun Pharma 0.96 percent, Hero Motocorp 0.83 percent, TCS 0.56 percent, HUL 0.40 percent, Power Grid 0.24 percent, M&M 0.20 percent, Vedanta 0.20 percent and L&T 0.16 percent. Among sectoral indices, the BSE energy advanced 2.01 percent, followed by realty 1.79 percent, telecom 1.75 percent, metal 1.58 percent, oil and gas 1.06 percent, PSU 0.96 percent, infrastructure 0.95 percent, auto 0.94 percent, capital goods 0.88 percent, power 0.86 percent, bankex 0.58 percent, teck 0.51 percent, consumer durables 0.46 percent, IT 0.42 percent and FMCG 0.40 percent. Healthcare fell 0.14 percent. The BSE small-cap and mid-cap indices too rallied in step with key indices, gaining 1.04 percent and 1.01 percent, respectively. HCL Technologies Ltd rose 1.86 percent after the company said it will consider a share buyback on 12 July. On the global front, markets rose amid optimism that the upcoming earnings season will offset a rise in trade tensions. Japan's Nikkei ended 0.66 percent higher, Singapore rose 1.27 percent and Shanghai Composite Index gained 0.44 percent while Hong Kong's Hang Seng ended flat. In Europe, Paris CAC edged higher by 0.20 percent, while Frankfurt's DAX rose 0.30 percent in their early deals. London's FTSE too was up 0.10 percent. US equities rose on Monday, as investors set aside concern about escalating trade tensions and rising political tension abroad to focus on the coming earnings season. The US Dow Jones Industrial Average ended 1.31 percent higher on Monday.